Thank You For 10 Years! 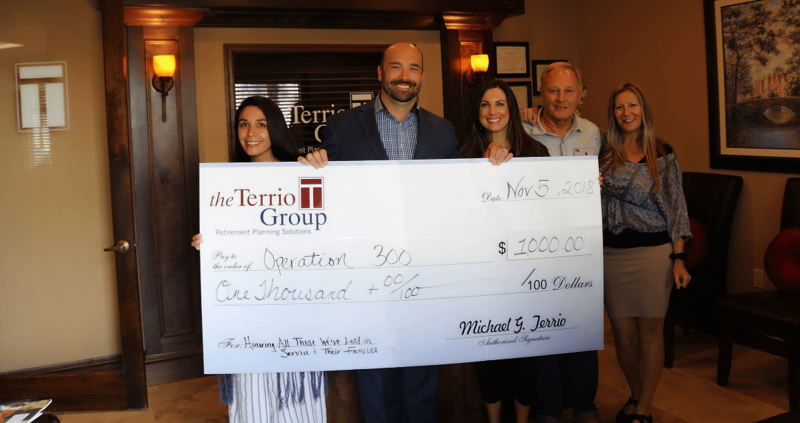 After ten successful years of business on the Treasure Coast, The Terrio Group is giving back to the community with a special initiative to show their appreciation for a decade’s worth of support. The Ten Weeks of Charity will kick off on October 11, 2018 when the first $1,000 will be donated to the first charitable organization, to be named at a gala event being held in Tradition tonight. Then for the remaining nine weeks, an announcement will follow each Thursday announcing the name of a new charity to receive the next $1,000 donation. Stay tuned for updates! 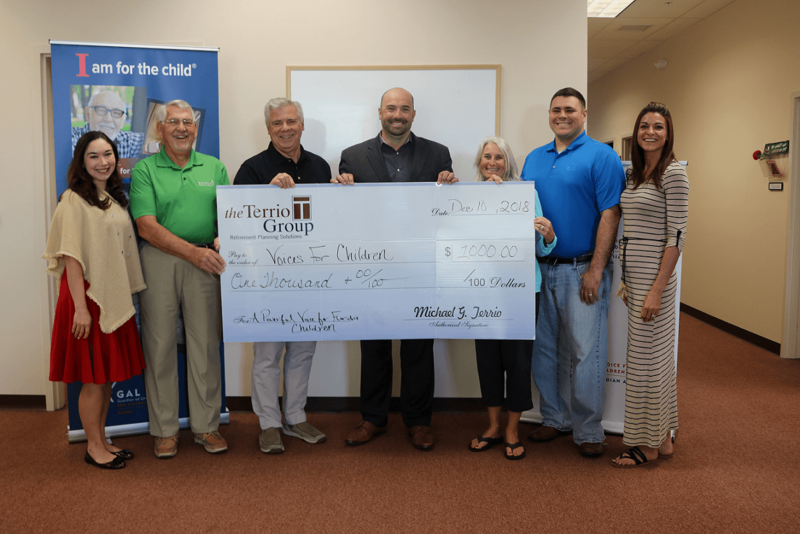 December 14, 2018: Voices for Children of Okeechobee and the Treasure Coast is a 501 nonprofit organization, founded in 2013 to raise funds in support of the efforts and activities of the Florida state-funded Guardian ad Litem Program of Florida’s 19th Judicial Circuit Court. A “guardian ad litem” (GAL) is a person the court appoints to investigate what solutions would be in the “best interests of a child.” The Guardian ad Litem program has been recognized for “streamlining efficiencies to focus on commitment to children” and won the Davis Productivity Eagle Award for it. 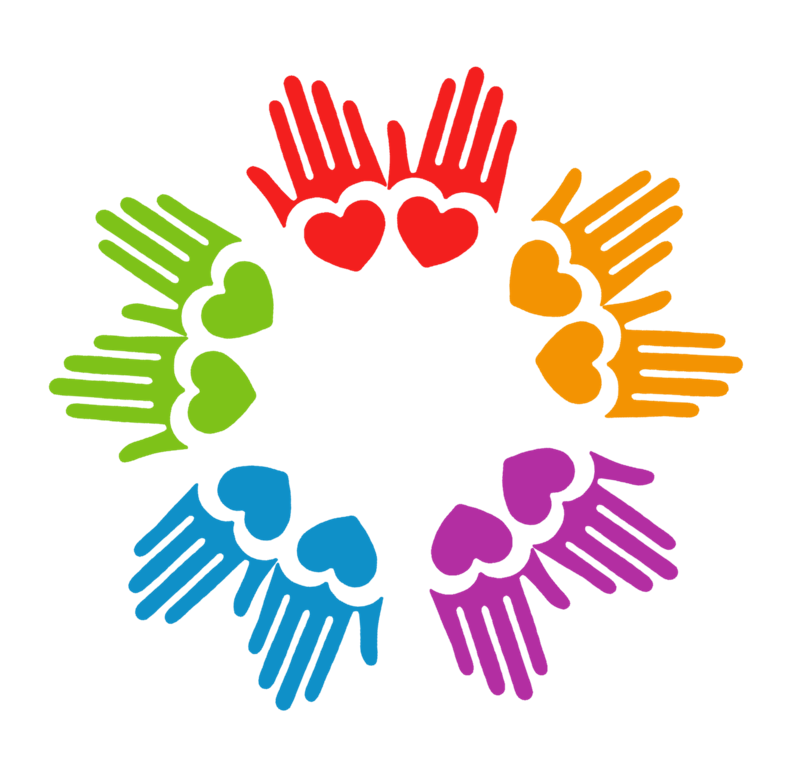 Voices For Children builds relationships with the business community as well as private, public, civic, and faith-based groups to identify and develop additional resources and support. Their goal is 100% representation of abused, neglected, and abandoned children under our court’s jurisdiction. They assist the communities’ vulnerable children by meeting their personal, educational, medical, and legal needs. When a Guardian ad Litem makes a request on behalf of a child (whether for a bed, bicycle, or any other number of everyday needs) they rise to meet the need. This would not be possible without the GENEROSITY of donors. More specifically, the mission of Voices for Children is to achieve 100% Guardian ad Litem (GAL) representation for the abused, neglected & abandoned children in the Dependency Court Foster Care System in Martin, Saint Lucie, Okeechobee and Indian River Counties. CASA/GAL volunteers improve representation of children. 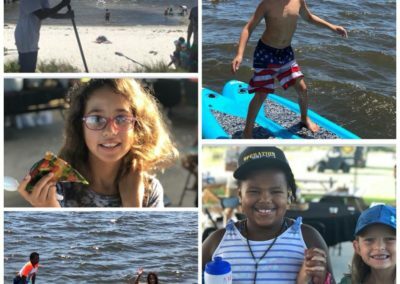 Want to help Voices for Children Reach 100% representation and advocacy for ALL of the abused and abandoned children in the Treasure Coast area? Become a G.A.L. PAL: Commit to a monthly donation of $5 or more for the next 12 months and get recognized as a G.A.L. PAL. December 7, 2018: We were all super stoked to get an invite into the inner workings of Charity #9, Future 6. Future 6 got their 501c3 status approval in 2012 and quickly hit the ground running, making their mission of providing children with disabilities opportunities to participate in free ocean-centric programs delightfully fun and … they are just a cool group of hip humans with over-sized hearts. 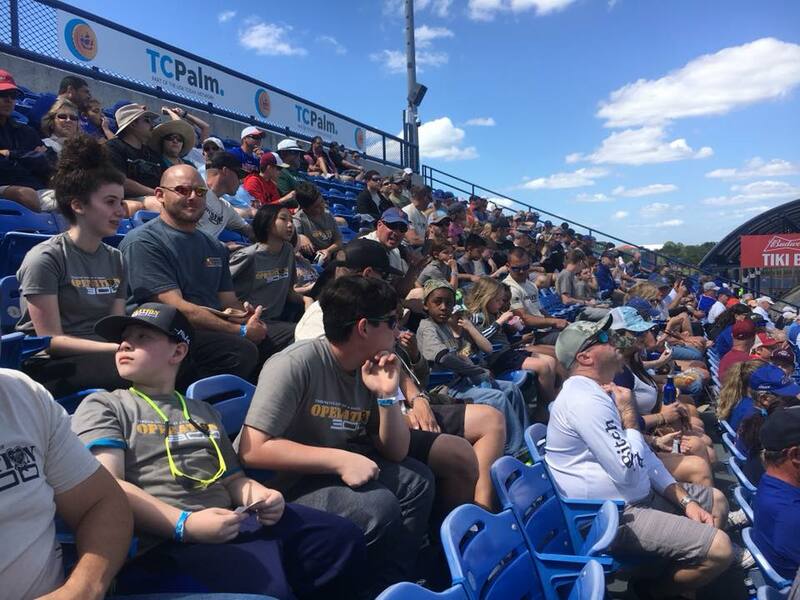 By the summer of 2013, Future 6 Helping Hand Fund, Inc (D/B/A Future 6 and/or F6) began hosting free youth camps and executing larger fundraisers within the local communities with great success and outreach. F6 went to work immediately partnering with others in the community to host free surfing programs for children at risk and/or with disabilities while maintaining relationships to continue it’s youth empowerment campaigns. 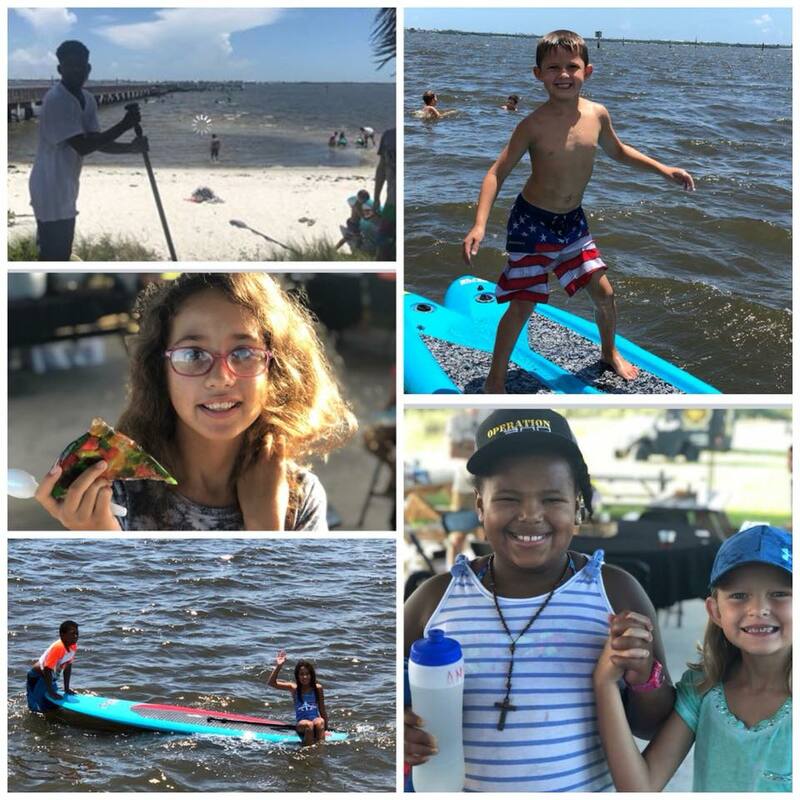 The For The Love Of Surfing surf camps are extremely effective and popular, and are specifically designed for children with mental and physical disabilities such as Down Syndrome, Autism, and Cerebral Palsy. These youth empowerment programs are designed to boost and sustain confidence. Indeed, For The Love Of Surfing has proven to be not just unforgettable, but also, a bit magical in that it was the catalyst that propelled a once non-verbal (or preverbal) autistic child to speak–for the first time! What do you think the first word he exclaimed was? You bet it was. And his parents could not have been more excited! Since then, he’s continued building a vocabulary and is able to express himself using his words. For those who don’t believe in magic, perhaps this Future 6 story might turn you into a believer. 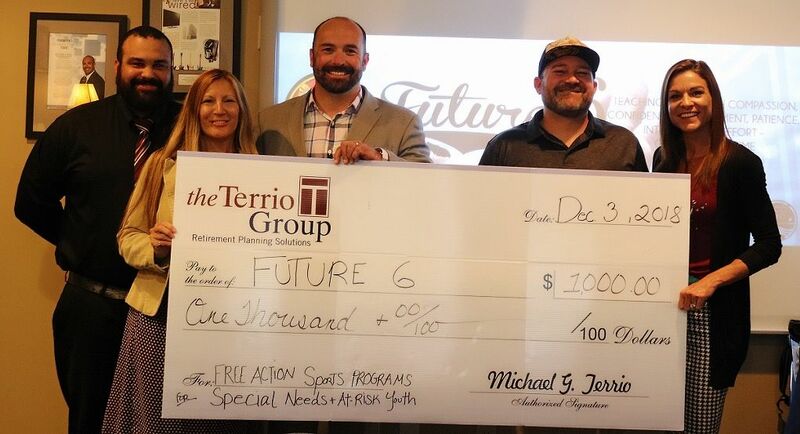 From all of us at The Terrio Group, we believe in your mission, Future 6, and we know this is only the beginning! Future 6 has great plans in the works, and they couldn’t do it without the support of the community. 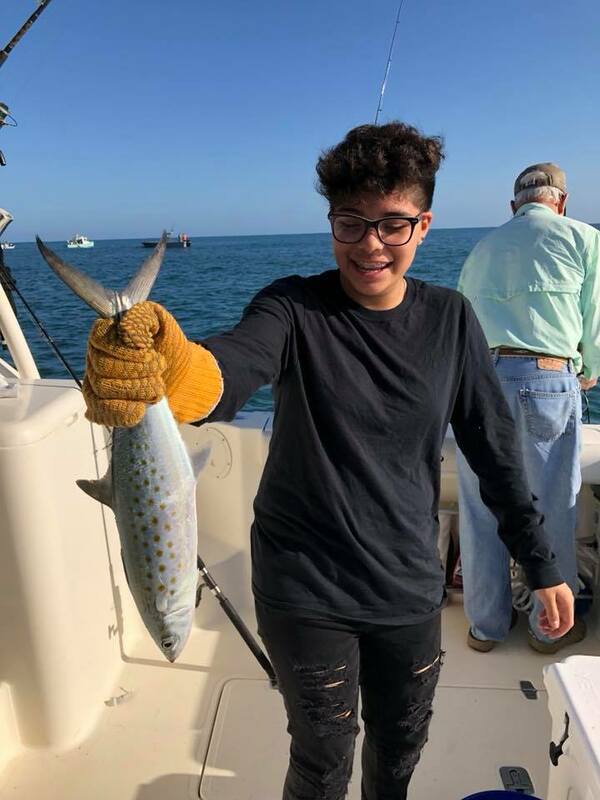 If you’d like to get involved, the work Future 6 does is equally rewarding for children and volunteers, who get an education in basic ocean safety, environmental and ecosystem protection, patience, confidence, and trust. You can donate, volunteer, or get involved here. 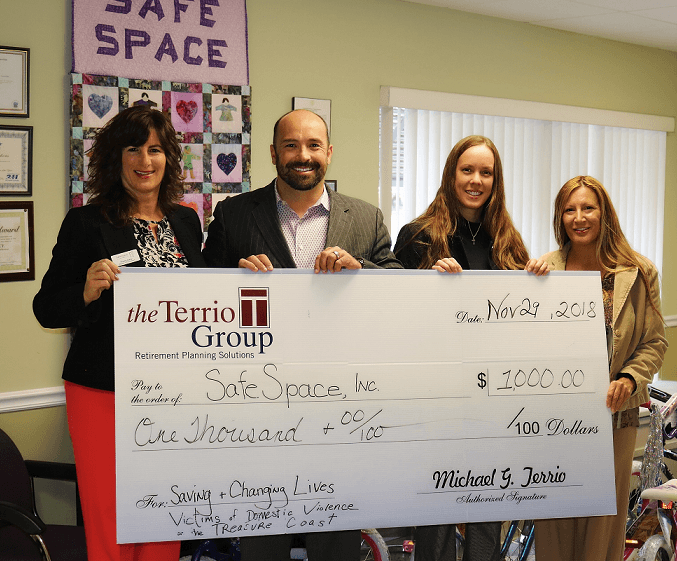 November 30, 2018: SafeSpace is the only Certified Domestic Violence Center saving lives 24/7 and preventing domestic violence throughout the Treasure Coast. SafeSpace offers victims of domestic violence safety, support, and education, empowering them to create an independent life free from violence. Every day in our country, 4 women are killed by their intimate partners, and 1 in 3 will be a victim of domestic violence during their lifetime. Since its inception in 1979, SafeSpace has provided close to 400,000 safe bed nights to women and children in its emergency shelter, and its advocates have provided over 300,000 hours of assistance to women, men and children on an “outreach” basis – enabling them to receive a vast array of services without having to seek the 24/7 safety of the SafeSpace shelter. Last year SafeSpace served 3,509 Domestic Violence Victims through their emergency shelter, outreach and transitional housing assistance support in Martin, St. Lucie and Indian River Communities. Experienced caring staff are available 24 hours a day – 7 days a week to support and assist in achieving a life free from abuse. The SafeSpace Emergency Shelter is a safe haven for those who need to escape Intimate Partner violence and immediate danger. They support victims through the process of starting their lives over and moving to safe, independent lives free from violence. The primary purpose of their Emergency Shelter is SAFETY. They typically have anywhere from 40-60 women and children in residence. 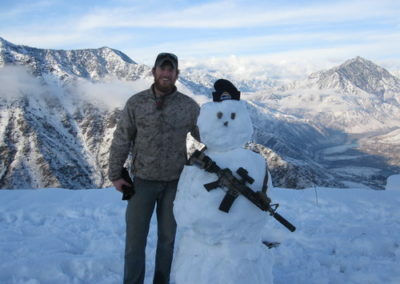 Usually, 50% of their residents are children, whose safety is taken VERY seriously. Victims do not need a police report. The first point of entry is the 24/7 Emergency Hotline: 772-288-7023. If you want to contribute, your donation will help keep the shelters operating, fund the 24-hour helpline, support legal advocacy, health care, counseling, support groups and children’s programs that are offered to survivors. November 23, 2018: We met Debby Butler, President and Board Director for Guardians For New Futures (GFNF), when she stopped by the Saint Lucie West office. 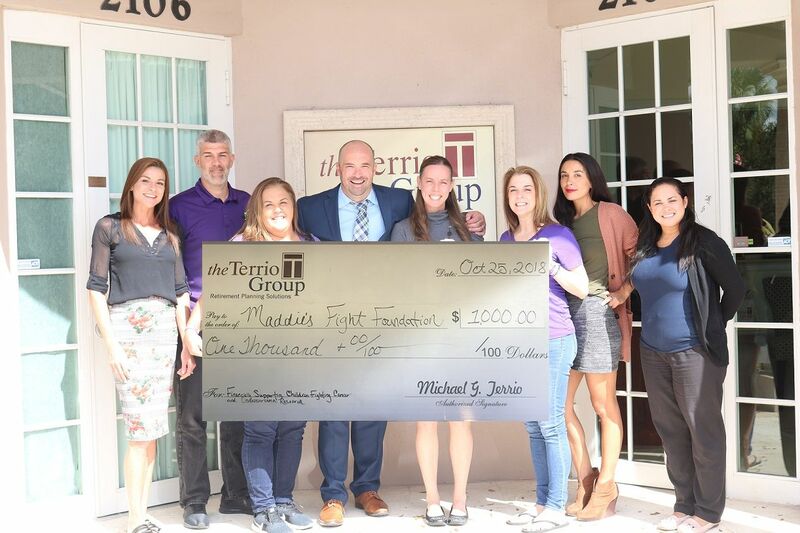 Debby took the time to ensure we got a good feel for the type of work she and her volunteer staff at GFNF are doing for abused and neglected children on The Treasure Coast. 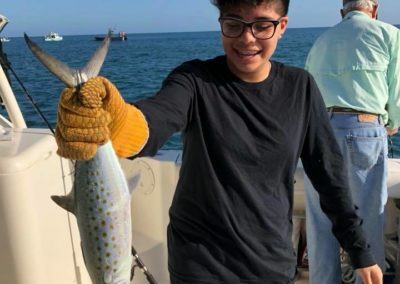 Debby realized she could draw from her proven business leadership background and her passion for advocating for children’s protections to launch Guardians For New Futures. Since 2008, she and her team have made a significant impact in the lives of the most vulnerable: our children. To support the unfunded needs of abused and neglected children while increasing community awareness and education to further protect children. GFNF has successfully launched events like the annual GFNF Child Summit since 2011 and has collaborated with others in the community to launch ‘soft landing’ environments like Sanctuary 4Kids Treasure Coast, which is an emergency shelter for children removed from toxic homes where they can wait in a nurturing space while important decisions are being made. Since 2008, GFNF has generated almost $800,000 in revenue and over $1.2 million of in-kind contributions to benefit maltreated children. And after our meeting with Debby, we get the feeling this is only the beginning! You can stay on top of Guardians For New Futures at their website. If you’re interested in donating, you can make your donation here. The Boys & Girls Club provides a stable environment to disadvantaged youth who come from unstable backgrounds. Children and young adults who are not getting their needs met at home can come in to a clubhouse for a nightly dinner and to participate in activities to help them flourish. The Infinity Clubhouse is an oasis of safety for kids in the neighborhood. It’s a place where they’re safe and supervised after school; free from fear of crime, drugs and gangs. The Clubhouse re-opened this October after undergoing a major renovation during the past year. More than 100 kids attend daily after school. The Clubs offer daily access to a broad range of programs that promote health, social, educational, vocational, character, and leadership development. Club programs foster a sense of belonging, competence, usefulness, and influence that builds self-confidence and self-esteem. The scope and depth of their programming address the community’s need for positive programs for at-risk youth. For example, their SMART Moves program teaches resistance skills when dealing with substance abuse, HIV/Aids, smoking and premature sexual activity. The Boys & Girls Club of St. Lucie County is part of Boys & Girls Clubs of America (BGCA), a national organization. BGCA provides assistance to local Clubs via program creation, staff and resource development; organizational planning and administration. 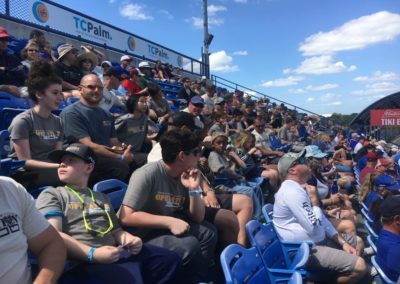 The Boys & Girls Clubs of St. Lucie County has more than 3000 members and serves just more than 7000 kids a year, with 19 locations throughout the county. For more information about the Boys & Girls Club, visit their website. 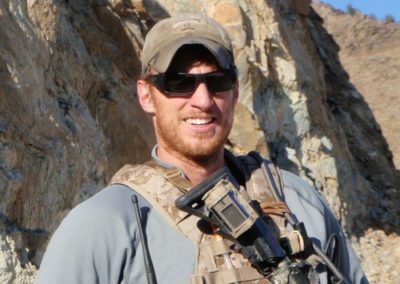 When Elite Navy Seal Aaron Carson Vaughn of Seal Team VI was killed in action in Afghanistan on August 6, 2011, the loss was monumental. 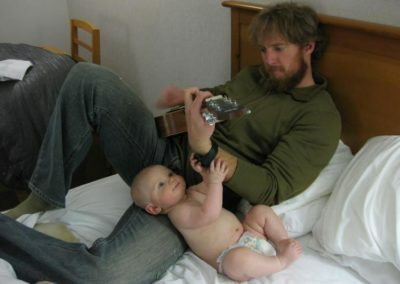 Aaron was just 30 years old, married to Kimberly Vaughn, with a son who was nearing two years old and a daughter, just nine weeks old. 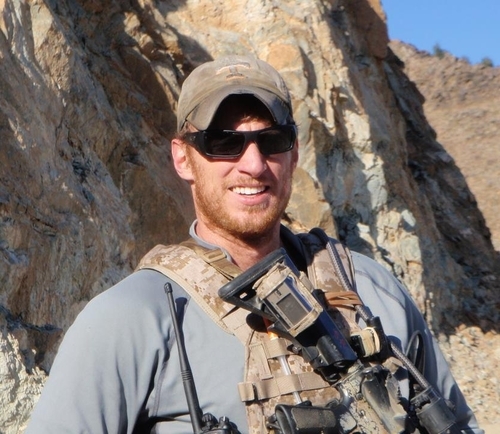 He was a highly decorated combat veteran with numerous awards including the Joint Service Achievement Medal with Valor, Navy and Marine Corps Achievement Medal with Valor, Combat Action Ribbon, Good Conduct Medal, Iraq Campaign Medal, Afghanistan Campaign Medal, Global War on Terrorism (Service) Medal, Global War on Terrorism (Expeditionary) Medal, and numerous other personal and unit decorations. He was posthumously awarded the Purple Heart, the Defense Meritorious Service Medal and the Bronze Star Medal with Valor. 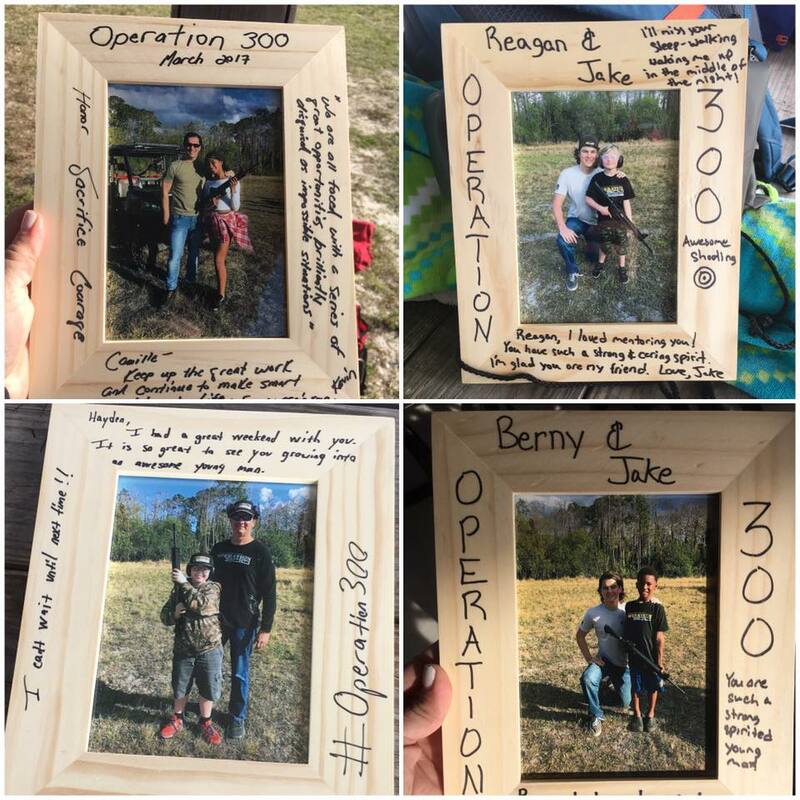 Operation 300, a registered 501 (c) 3, came about organically, when sister Tara Baldwin and father Billy Vaughn recognized the gap left behind when an American soldier dies, and the devastating effect this has on the families of the fallen, or gold star families, especially the children. The coining of the phrase “gold star” dates back to World War I, and has since been ascribed to kin with a family member who died in combat. 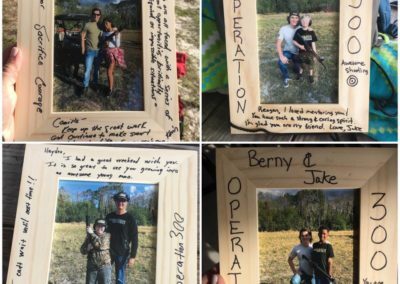 Operation 300 hosts adventure camps for gold star children and pairs them with a father-aged, male mentor who spends the weekend doing things with the children they might have done with their dad. 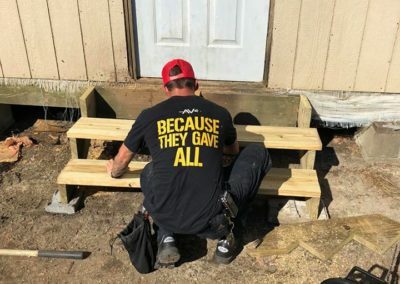 Their mission is to provide mentorship to children of the fallen, honor the sacrifice of those who’ve given their all for our freedom, and promote patriotism and service in our communities. Aaron’s story, life, and legacy inspired the creation of Operation 300. 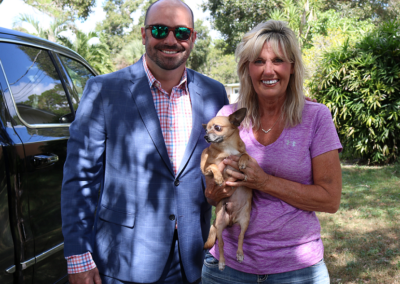 We met up with Tara and Billy when they came to our office in Port St. Lucie and had a heartfelt conversation. 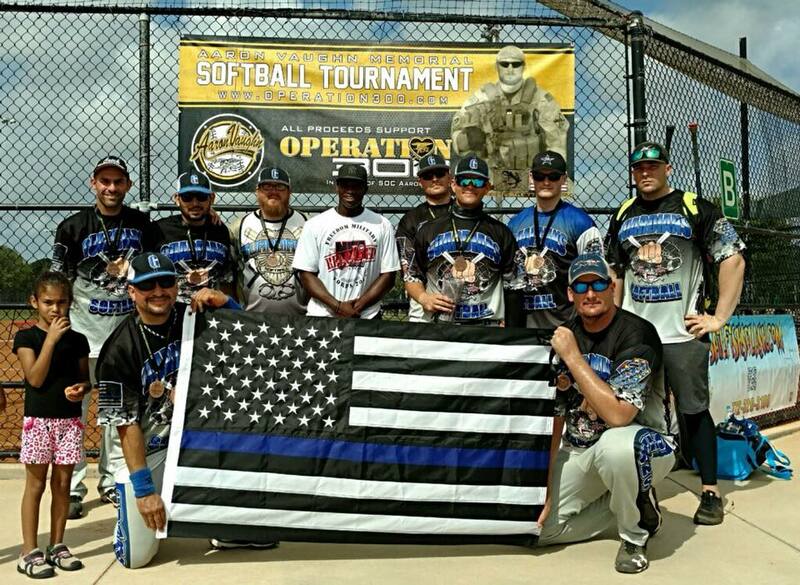 They were generous with their time and forthcoming with Aaron’s story and how Operation 300 came to fruition. Like all labors of love, Operation 300 was born with just the first camp event. The Domino effect was quickly in force. The family has done zero marketing. So many people just hear Aaron’s story, and what the Vaughn/Baldwins are doing, and want to know how they can get involved. 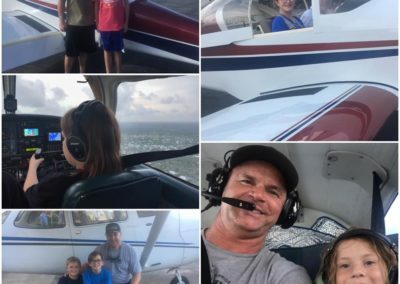 Operation 300 foots the bill for the children’s flights (all gold star kids are considered, no matter if they are local or in Hawaii or Guam, as is currently the case), accommodations, and more. 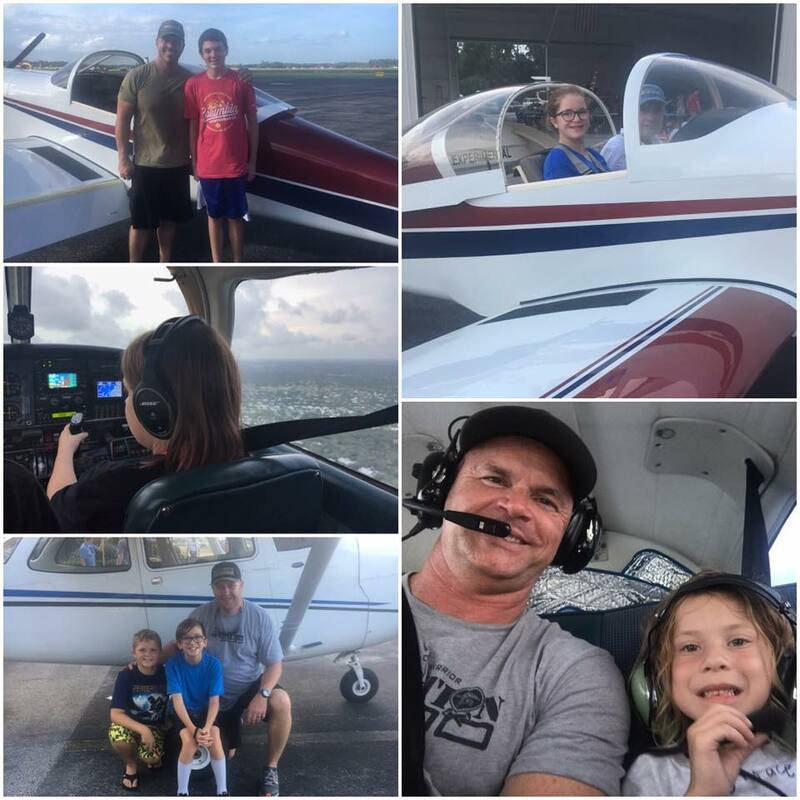 Many generous outfits throughout the community have dedicated boats and planes for special outings for the kids, and now moms (military widows) are also treated to a weekend of rest, relaxation and fun, all at no expense to them. 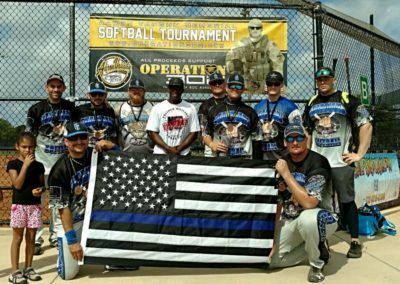 We are humbled and grateful to be included in Operation 300’s orbit, and we encourage you to get involved, in any way you can. If you want to get the full story, read the book by Billy Vaughn, Betrayed, here. Mentors to the children volunteer. They try to hold camps on weekends to accommodate work schedules. Volunteers and chaperons are needed at the camps. For those in a position to donate, the greatest gift you can give is financial. Operation 300 is striving to purchase the land they use for the camp. The purchase of this property will alleviate much of the burden and will streamline all future activities. If you have children who have lost their dad in combat and want your children to participate, their is currently a waiting list you can join. 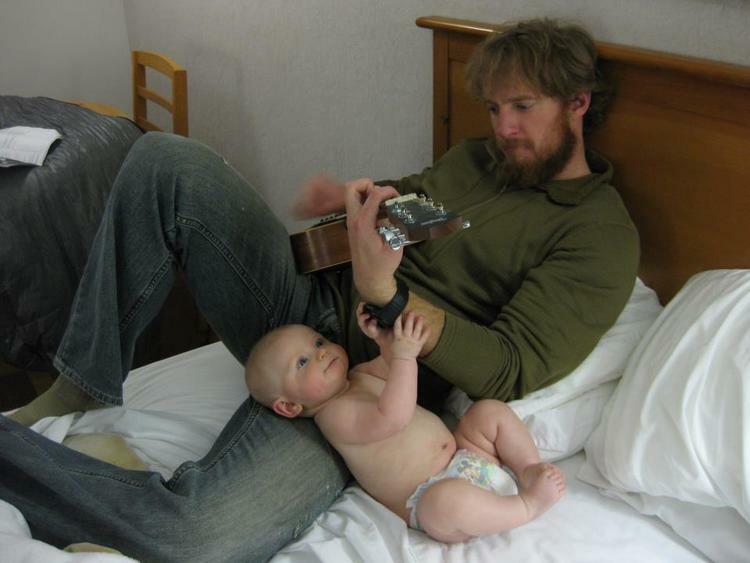 May Aaron Carson Vaughn’s legacy live on through the lives of his children and all those who will be reached by this organization built in his honor. 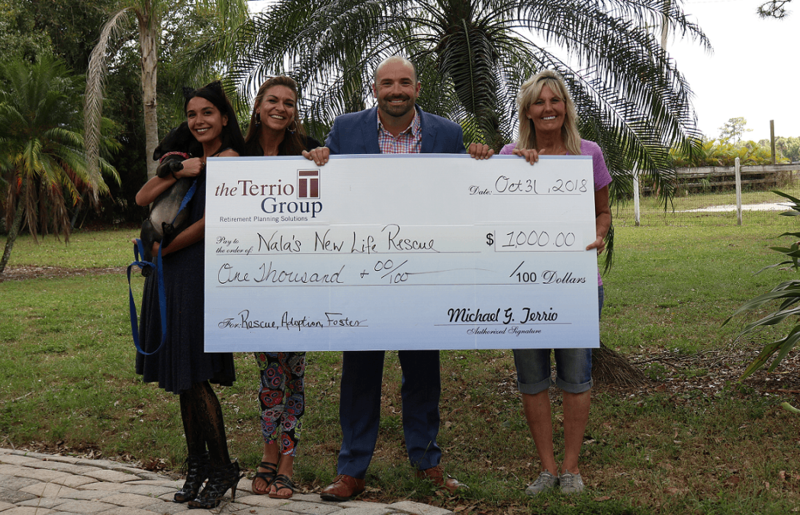 Mike Terrio presents Barbi with her donation check. Ashley and Beauty were Bff’s right out of the gate. Sasha thrives in the spotlight. 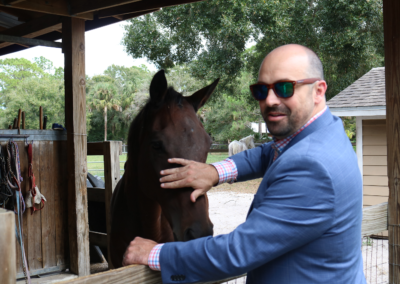 Mike with Barbi and the chihuahua – Buttercup – who stole our hearts. 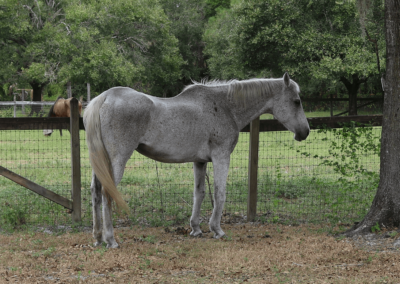 A rescue horse enjoys the solitude. Gypsy warms up slowly to the team. Cassie and Sasha instantly click. Mike took a few moments to bond with an affectionate horse. Mike shares a special moment with a new friend. 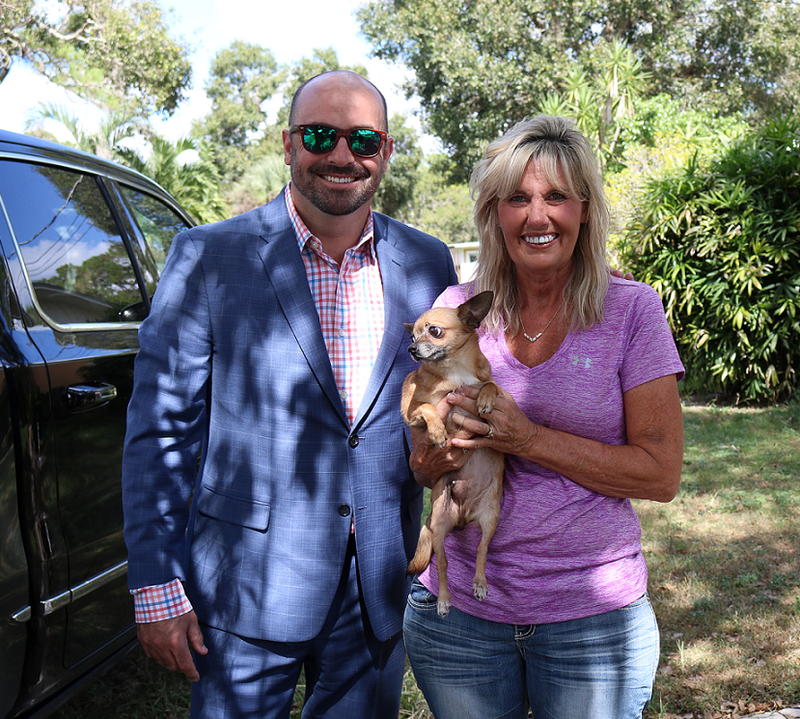 November 2, 2018: The team headed to Palm City to visit the site of our #4 Charity in The Ten Weeks of Charity initiative: Nala’s New Life Rescue. 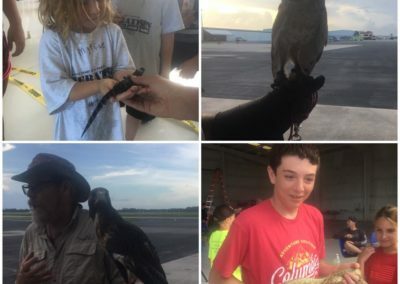 The hardest part of this field trip was pulling ourselves away from the animals! 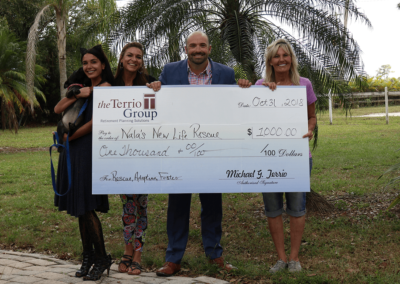 Nala’s has been around for over 25 years, and last year alone, Barbi and her 501 (c) (3) non-profit saved the lives of over 150 dogs, placing them in homes throughout Martin County. Nala’s New Life Rescue is a foster-based rescue, and Barbi works diligently to ensure she places the dogs with families in environments where the dogs are most apt to thrive. Nala was a life-long companion and friend whose brave fight against bone cancer inspired her to rename her rescue in honor of her. Nala’s has been saving dogs with no hope for years. They have a genuine no kill policy and save dogs without discretion, regardless of health, age, or breed. 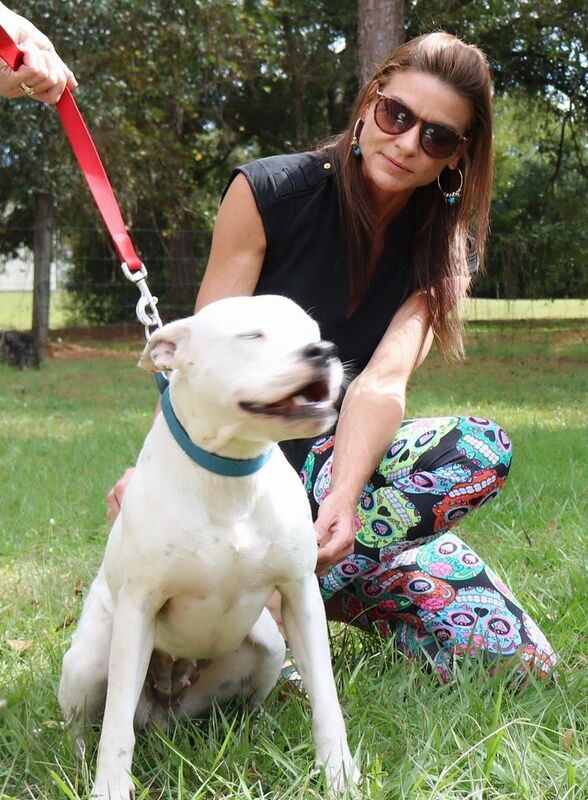 Barbi and her team take on the dogs and cats that might otherwise be euthanized. In fact, Nala’s pays to provide safe harbor for these dogs, covering all expenses, including medical. They do whatever it takes to bring the animals to safety, and cover all expenses, including medical. Barbi spoke to us at length about the costly procedures that often have to be performed, many of them to care for dogs that are heartworm-positive. We were delighted to learn our donation would most likely help take some of the financial burden off Barbi’s shoulders, and we felt honored to bear witness to the organic chemistry Barbi had with the dogs. 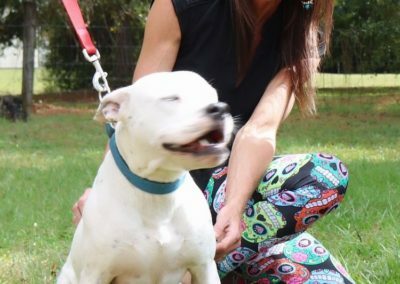 If you’re interested in sponsoring or adopting an animal from Nala’s, the way it works is: Nala’s provides a safe foster home or boarding facility until a foster or forever home is approved. 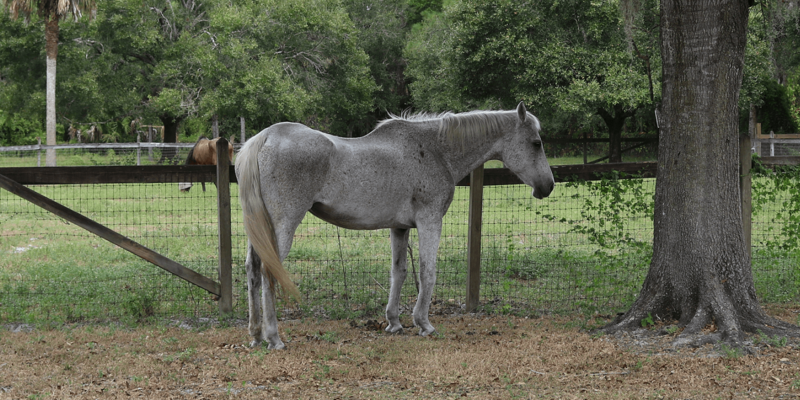 All of the animals have a full veterinary examination, vaccination, and are spayed or neutered. Barbi and her volunteers care for the animals until they are emotionally and/or physically healed, or a home becomes available. Nala’s New Life Rescue has saved and placed over 150 dogs in new homes in 2017. In 2018 they set out with the goal of doubling that number. We truly hope they make it! 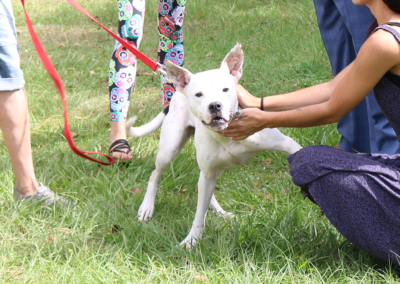 If you are interested in learning more, visit Nala’s New Life Rescue. You can follow Nala’s on Facebook. To adopt a dog, you can apply here. If you’d like to learn more about Maddie’s Fight, you can visit the following page. If you’d like to lend your support, you can visit this page and follow all the good work they are doing on Facebook. 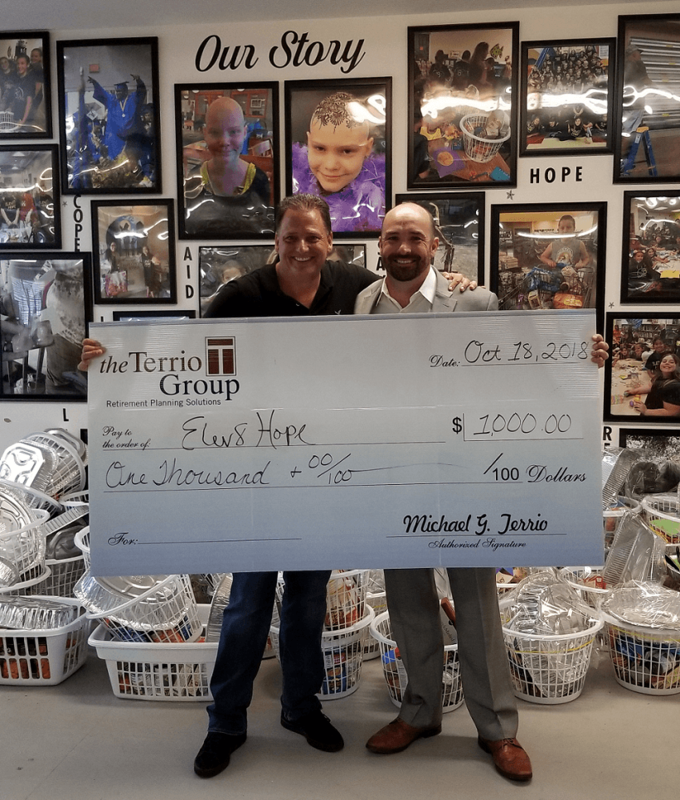 October 18, 2018: Our second charity to receive a $1,000 donation is Elev8Hope, whose facility we toured and where we were all significantly moved by the stories relayed by Executive Director Jeffrey Pedersen, who shared many anecdotes of the beneficiaries whose plight was positively impacted by the individual attention, care, and support they received. 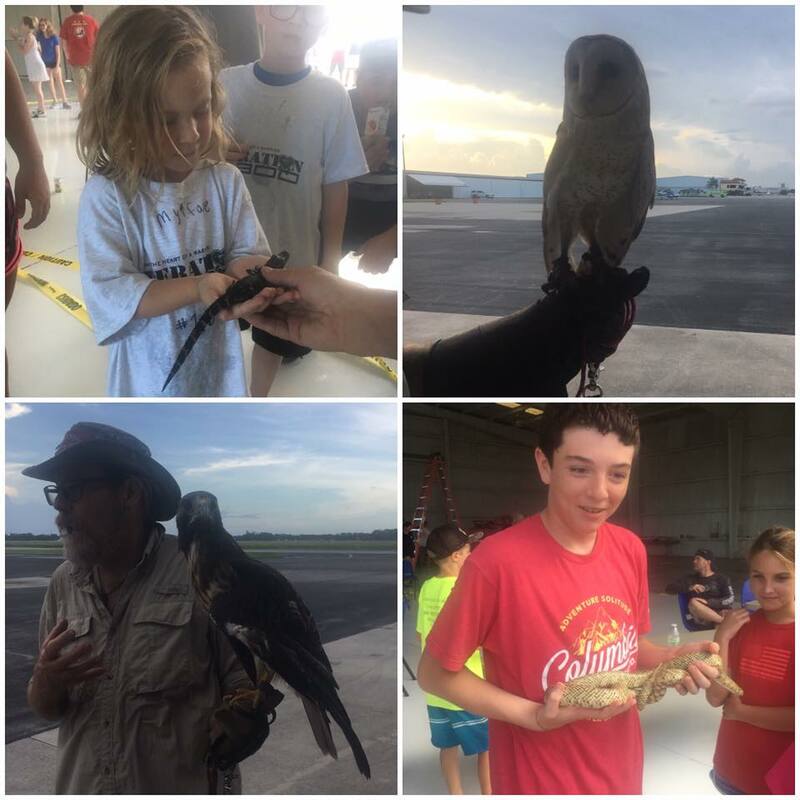 Elev8Hope’s mission is to positively impact the community of Martin County through educating, training and inspiring youth to become compassionate leaders by personally connecting with individuals and families struggling to meet the most basic requirements of daily living. 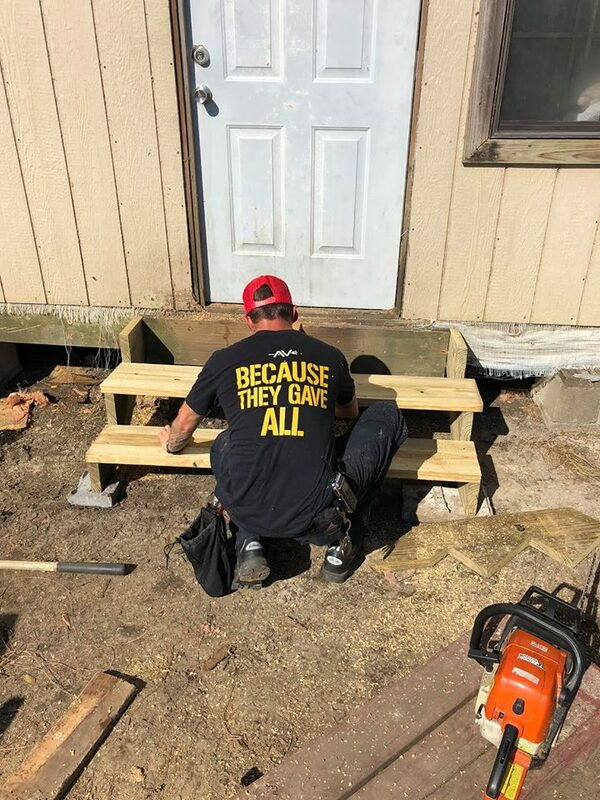 Their mission is focused on preventing homelessness, assisting families of Martin County to get the right resources, homeless individuals, the hungry, impoverished and infirm. 17 battered women were given first, last and security for housing to start over, along with a beauty makeover. 49 homeless families moved into a place. 4 cars were donated to struggling women and 1 male student who had no transportation. 127 trailers were completely furnished by students helping build up struggling families. 610 household appliances were delivered. 3 college tuitions were paid for kids whose parents were in prison. 600 pounds of animal food was donated. 560 premade Thanksgiving meals from Big Hearts Brigade was delivered to homeless and needy families on Thanksgiving. If you’d like to learn more about the good work Elev8Hope continues to do in the community, visit Elev8Hope or make a donation. 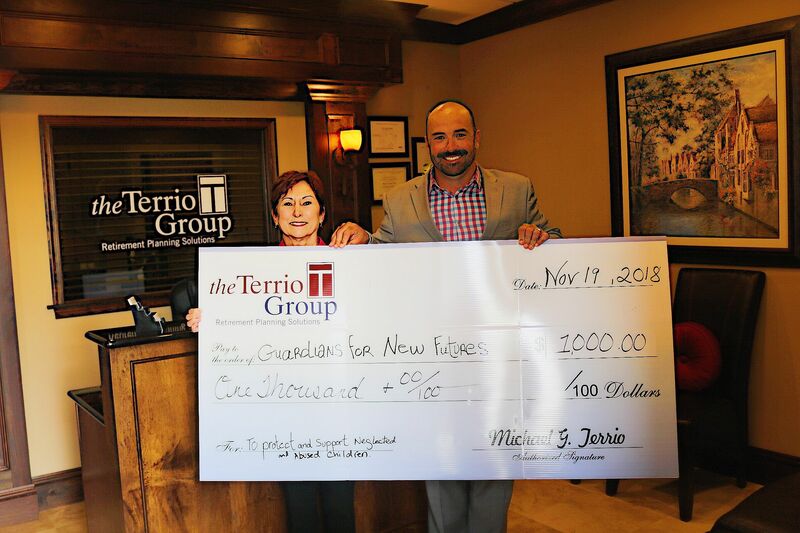 October 11, 2018: The 10 Weeks of Charity kicked off at a gala event in Tradition where the first recipient to benefit from The Terrio Group initiative was handed a check for $1,000 from company president and founder Mike Terrio. The Treasure Coast Food Bank was founded in 1988 and is the the largest hunger relief organization on Florida’s Treasure Coast, and the only food bank serving Indian River, Martin, St. Lucie, and Okeechobee Counties. The Treasure Coast Food Bank serves as a bridge between food sources and those who are struggling to put food on the table, working in tandem with farmers, manufacturers, retail stores, and nearly 300 schools and partner agencies to provide direct services and outreach programs to help support children, seniors, and families in need. 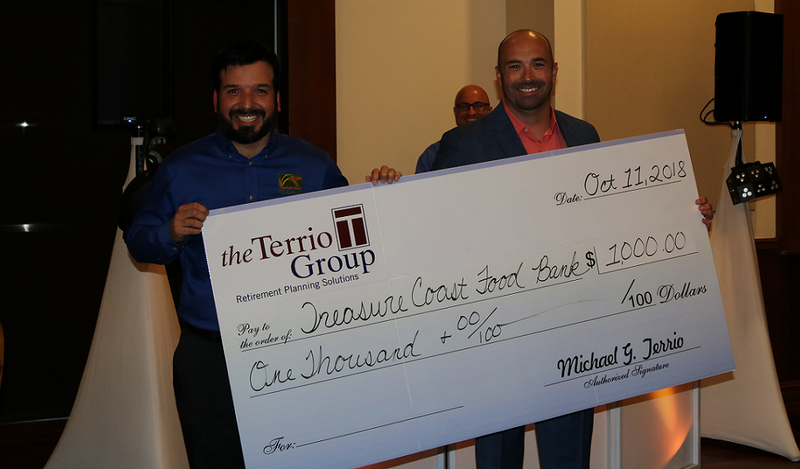 We applaud the great work the Treasure Coast Food Bank is doing and we are honored to be able to donate to help fight hunger in our local communities. If you’d like to donate or volunteer, or just learn more about them, visit Treasure Coast Food Bank today. Send your questions directly to us.